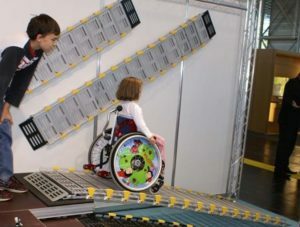 Roll-A-Ramp® is the most portable and versatile ramp available. Available in 12″, 22″, 26″, 30″, 36″, and 48″ widths and most any length, Roll-A-Ramp® is an excellent choice for anyone looking for a superior quality access ramp for wheelchairs, scooters, walkers or any use. 12″ – For very wide chairs or heavy cargo. 12″ ramps are sold as pairs. Learn more about portable ramps by downloading either our Portable Ramp Brochure.